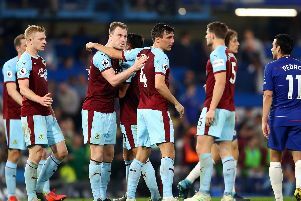 On Monday night Burnley will find out who they will face in the third round of the competition when the draw is held at Stamford Bridge, the home of holders Chelsea. The all important number for Burnley fans to look out for is 10. Sean Dyche’s men will no doubt be eagerly watching the draw, with last season’s winners Chelsea (ball 12), finalists Manchester United (ball 24) and 13-time winners Arsenal (ball 2) ones to keep an eye on.